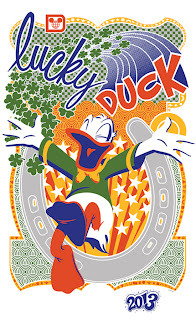 March 1: Disney Design Group Artist Thomas Scott will be appearing at Disney’s Pin Traders in Downtown Disney Marketplace from 5 p.m.-7 p.m. to sign the latest pin and Vinylmation release in the 2013 series. Note: It’s also the last chance to pick up the 2013 calendar featuring the same design. March 2: If you’re wondering what your true “colors” might be, then plan to swing by Tren-D in the Downtown Disney Marketplace from 11 a.m.–3 p.m. to find out, as we celebrate the launch of the Beautifully Disney cosmetics collection. March 6 – 11: Larry Dotson will be on hand to showcase his recent works throughout the week at Art of Disney in Epcot. Unable to make it? Don’t worry… Larry will return later in the month from March 27 – 30 at Uptown Jewelers in Magic Kingdom Park. March 6 – May 19: Spring is in the air! How can I tell? The 20th Epcot International Flower & Garden Festival, of course! Looking for commemorative merchandise from this year’s festival? Then be sure to make it a point to visit our 2013 Flower & Garden merchandise destinations located in the Festival Center and around the World Showcase promenade! If you’re wondering what other offerings we will have, here’s a quick look at some new and returning artisans that will be taking part in the festivities from 11 a.m.–9 p.m., each day: Just Plumerias, Elemental Nursery, Swaying in the Breeze, Rinse, Silver Designer Corp., Eye Catchers and Heather French. If you’re curious as to what merchandise will be offered this year at Flower & Garden. March 16: The latest cel from the Ink & Paint team, Waltz in the Park, is making its debut. Meet the artists behind this new masterpiece from 10 a.m.–1 p.m. and 2 p.m.–5 p.m. at the Animation Gallery in Disney’s Hollywood Studios. 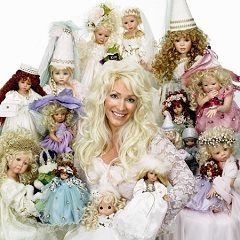 March 21 – April 7: Precious Moments Doll Maker Linda Rick will be appearing at Heritage Manor in the American Adventure Pavilion at Epcot from March 21-24 and April 5-7 as she debuts her newest collection of dolls inspired by “Tangled.” Keep in mind, Linda will only be appearing on the dates listed above, but representatives will be on hand to answer any questions between her appearances. 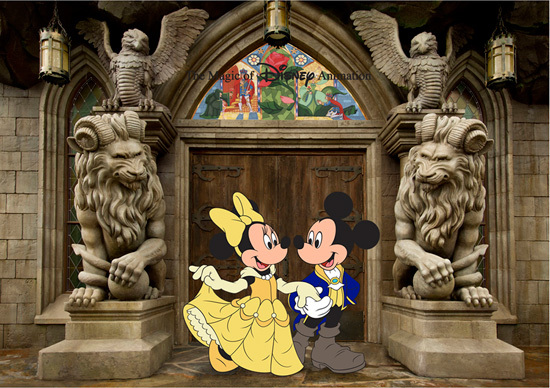 March 22 – 23: Meet artist Romero Britto, who will be on hand to sign some of his recent release including Mickey and Minnie in Love, Mickey Mouse Heart and Sorcerer Mickey. Signing times and locations are as follows: March 22 from 4 p.m.–6 p.m. at Uptown Jewelers in Magic Kingdom Park and March 23 from 11 a.m.–2 p.m. at Art of Disney in Downtown Disney Marketplace. Note: Wristbands will be issued for this event, so be sure to get there early. March 22 – 31: The Art of Disney in the Downtown Disney Marketplace will be home to artist David E. Doss this week, so make sure to stop by, say hello and check out the newest releases in his collection. March 29: The only thing you’ll be saying for this signing is “how cute!” That’s because Disney Design Group artists Thomas Scott and Caley Hicks will be signing Cutester Series #5 – En Vogue from 5 p.m.-7 p.m. at D Street at Downtown Disney West Side. That wraps it up! 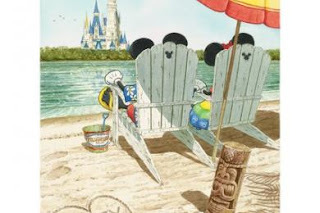 Look for details on all of these events and more on www.ArtofDisneyParks.com.